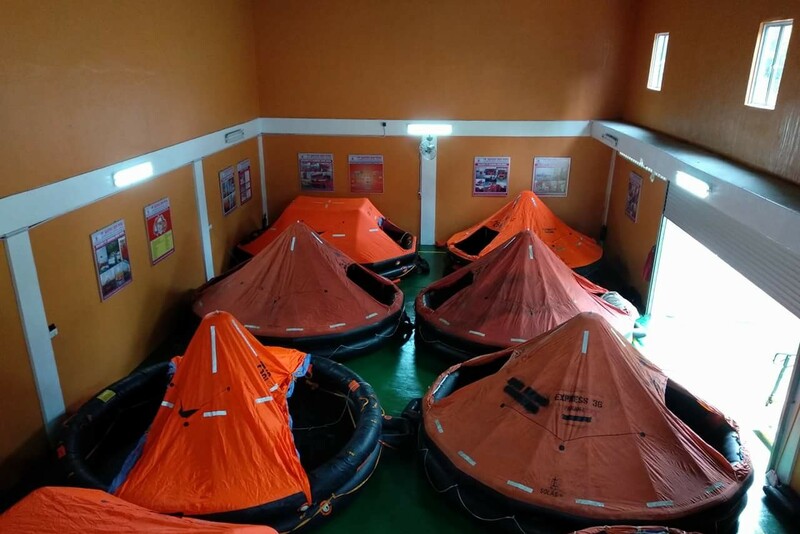 Our company is approved by all the major international Classification Societies to inspect, service and repair inflatable liferafts. 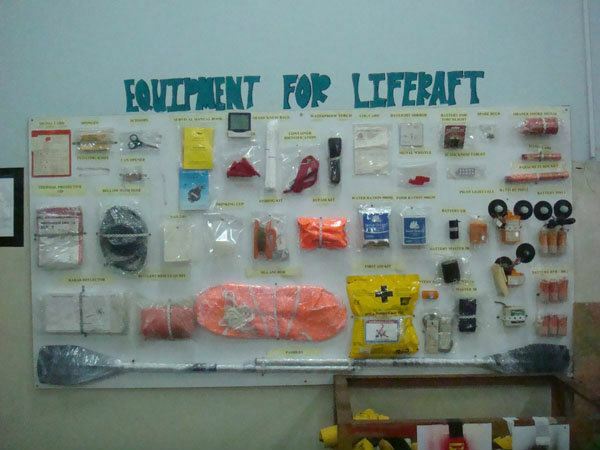 Our facilities in Batam and Bengkulu are approved by most of the major liferaft manufacturers. SOLAS Regulation III/ 20.8 requires every inflatable liferaft to be serviced at an interval not exceeding 12 months. In case this annual service impracticable. The Administration may extend this period to 17 months. SOLAS also mandates that liferafts should be serviced at approved service stations which maintain proper infrastructure and use properly trained personnel. 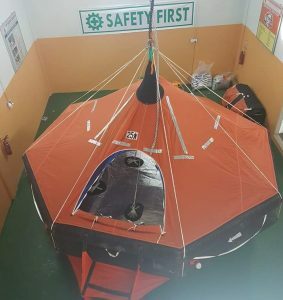 At our service stations, service and repair work are carried out only by qualified persons who have been trained and certified by liferaft manufacturers. Our FRP experts can repair most damages on liferaft containers at short notice and with quick turnaround time. Our technicians conducting an overload suspension test on a davit-launched liferaft during its periodic servicing, as per manufacturer’s guidelines. Our technicians placing liferafts on storage racks after they’ve been serviced and are ready to be transported back to the vessel. Liferaft is inflated with compressed air and pressure tested including a 60 min. Liferaft is subjected to specific tests at various intervals according to international regulations.